Why should I have my baby checked? As parents, it is not always easy to detect if your baby has any issues. If problems are still ongoing as the child grows older, those will be that much more difficult to treat and will affect the child’s quality of life. It is therefore very important to be able to assess your child as early as possible. Our London specialised paediatric physiotherapists and osteopath offer to assess your baby at home in London, at the Light Centre practice in Belgravia, near London Victoria station and at our Clapham practice between Clapham South Station and Clapham common near Battersea. What is baby check up ? 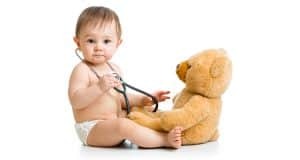 At Excellence Physiotherapy, we offer a complete baby check up / assessment where one of our London physiotherapist or osteopath specialised in paediatrics will check your baby to detect any underlying issues.